I have tried countless makeup lines over the years, and nothing excites me more than coming across a new brand to try that is unknown to me and might not be to most. Even more intriguing to me is when the brand in question has its roots in Asia, their products which we beauty lovers know have started a pretty big craze here in America. 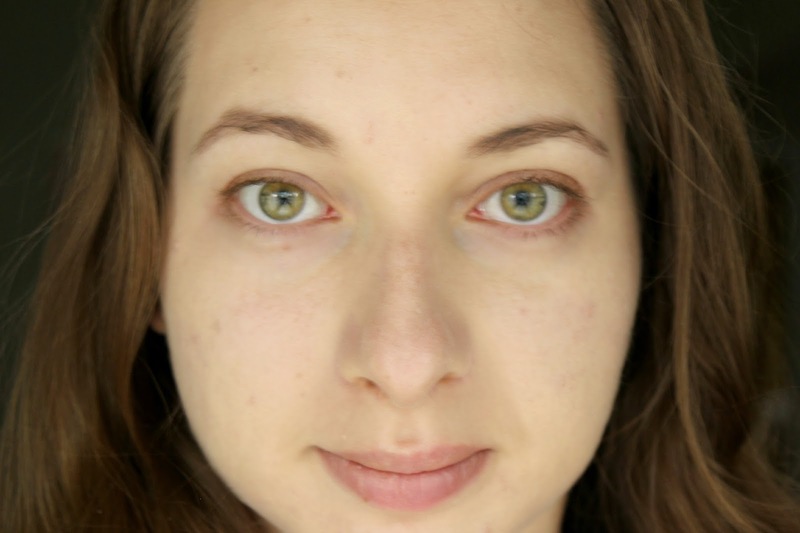 BB creams are now so common ever since they were launched by major cosmetic companies and have had their fair share of spotlight, and this often entails comparisons with 'the originals,' aka their Asian counterparts. 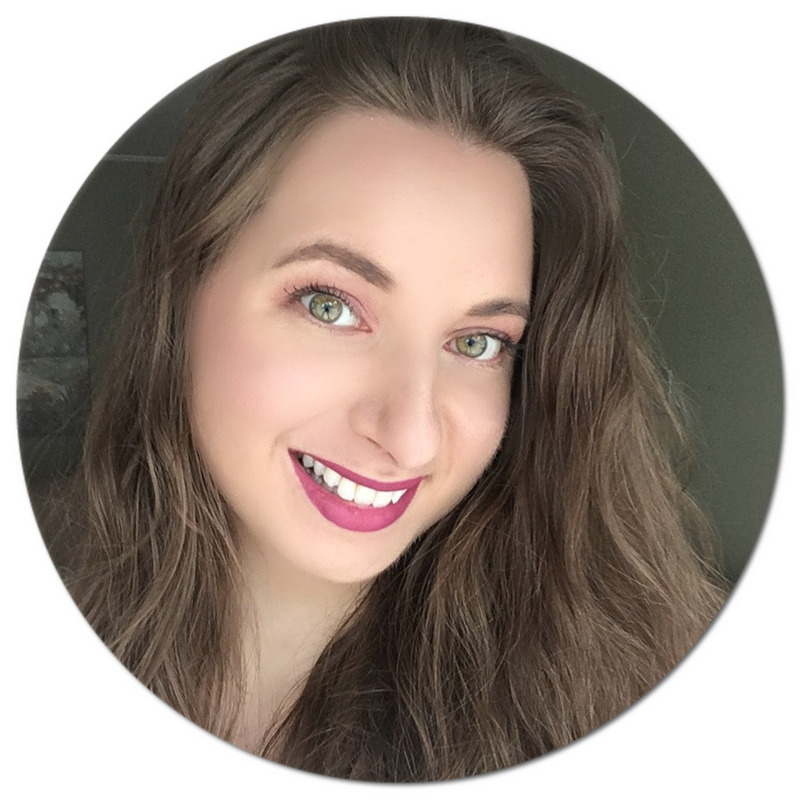 When I was asked if I would like to give Omorose Cosmetics a try, I jumped at the opportunity since I have only tried one Asian BB cream from Lioele (reviewed here) and wanted to see if this one would be as good of a hit. 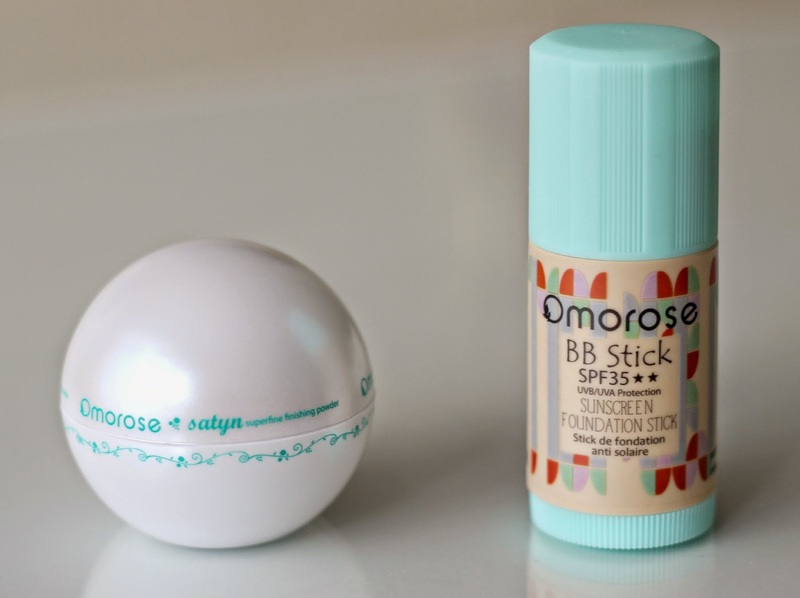 I hence decided to try the Omorose BB Sunscreen Foundation Stick* and their Satyn Superfine Finishing Powder*. It did not take me long to realize just how wonderful these two products are. Let me break down to you why. The BB Stick which I got in the shade Light/Fair has SPF 35 and offers UVA and UVB protection, which is greatly appreciated since I mostly wear BB creams in the summertime when I want something quick, long-lasting, with light to medium coverage, and that feels super lightweight. The fact that this doesn't make me look like an oily mess by the end of the day is just the cherry on top. As opposed to the Lioele BB Cream which comes in a tube and has a liquid consistency, this one comes in roller stick form and is very creamy, yet not cakey or heavy-feeling. 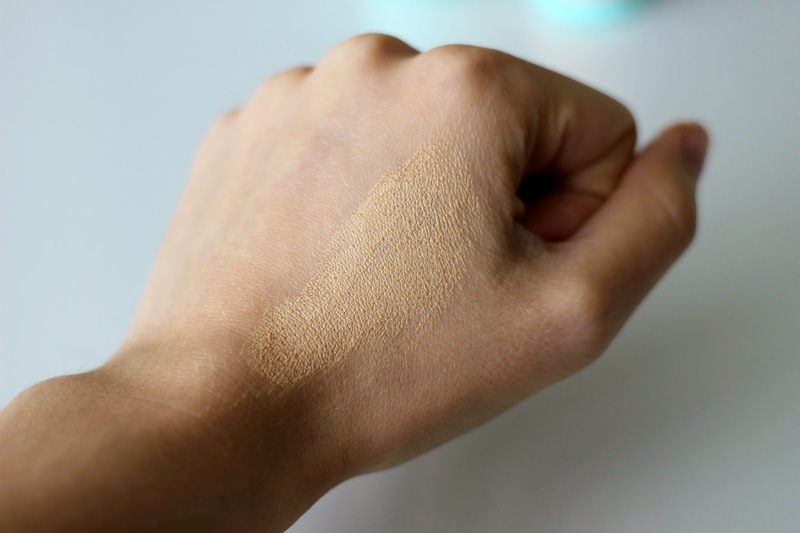 When I first saw the colour of the packaging, which resembles the shade of the actual cream, I was sure it would be too yellow-toned for me (as most Asian face products are), but surprisingly it was a perfect match. I did develop a bit of a tan but hopefully it holds up for a few more months so that I can get as much use out of it as possible before I become very fair again. What also really impressed me is that there is the actual date of production and expiry on their products, which is very uncommon in America as companies only have to indicate the number of months that is recommended the products be used up in. The Satyn Superfine Finishing Powder that I got in the finish 'Flawless' is so lovely and unlike any powder I have come across. When they described it as 'superfine' they certainly weren't kidding. 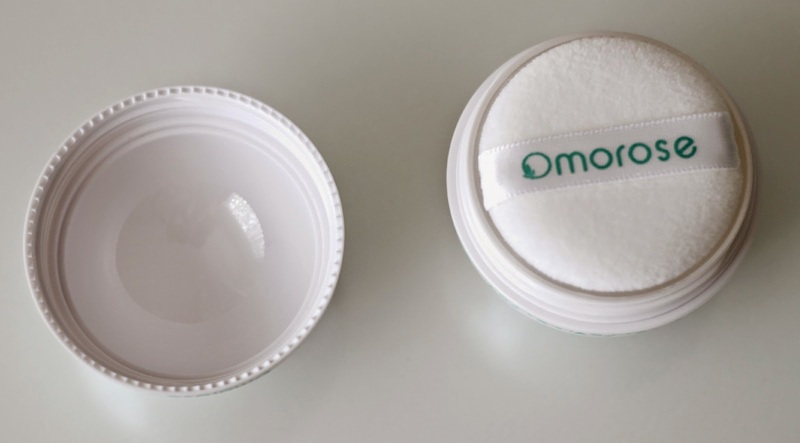 This universal, translucent powder comes in a sphere-shaped container with a removable lid and the cutest, softest white puff to pick up the product that comes out of the sifter. After turning the container upside down with the puff on top of the sifter and seeing that nothing was coming out, I realized I had to poke through the pre-cut miniature holes (blonde moment there as I am used to there being a removable film) and from there the love story began. 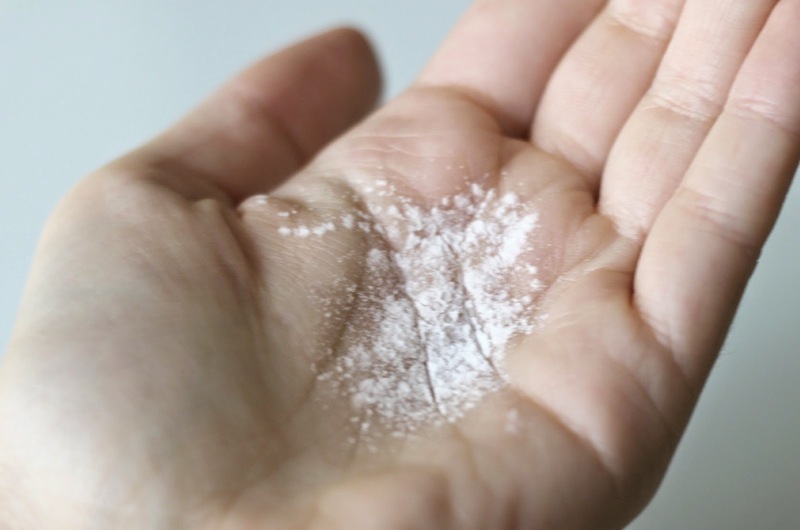 Ever since I tried the Make Up For Ever HD Pressed Powder (reviewed here), I haven't found anything that compares until this product which, I may add, comes at a fraction of the price and also includes talc-free ingredients including corn starch and mica. You would think it would be messier to work with as it is in loose form, but it is actually very user-friendly with that miracle of a puff that get's the job done so effortlessly. The finish leaves my face matte and smooths out any pores while keeping my makeup from turning into an oily mess by the end of the day. Seriously, it's amazing. Not only does Omorose offer great products, but they also support a good cause by offering job opportunities to the disabled community in their native country of Malaysia. Their products contain only natural preservatives and are all paraben and cruelty-free, not to mention they offer quick and affordable shipping worldwide. 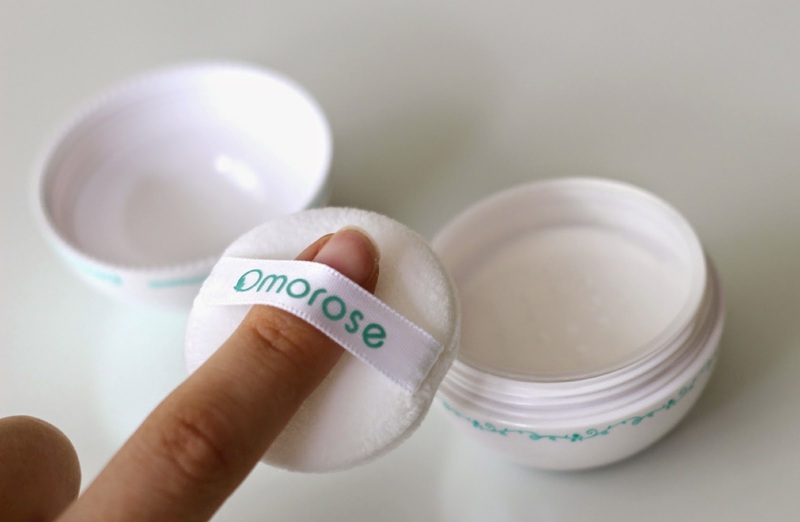 If you are looking for a new Asian cosmetic brand, I would highly recommend you give Omorose a try. Are you a fan of Asian cosmetics? What brand or product is your favourite? *Disclaimer: Products featured were sent to me and have been reviewed in accordance with my disclosure policy. 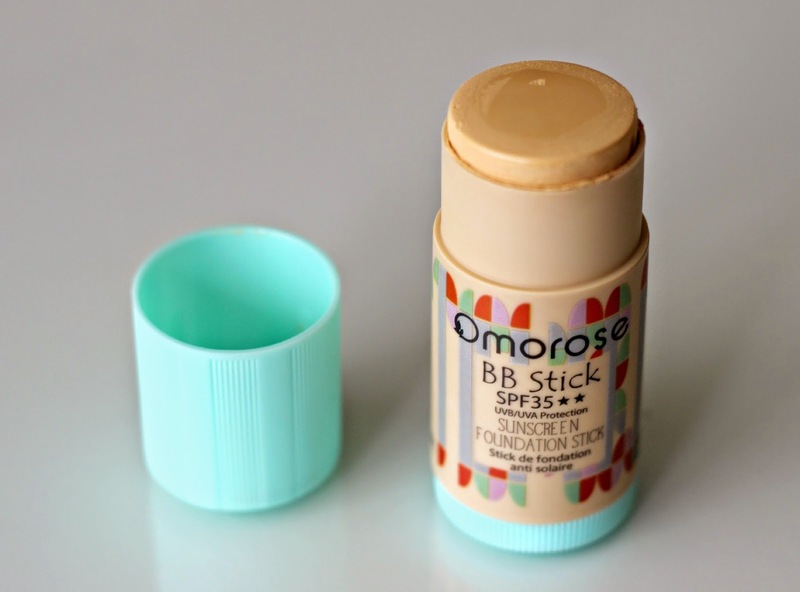 I love the idea of a BB cream in stick form! Hands-free and no mess. Now, that's my kinda makeup routine! Lovely review Natalie! I've never tried an Asian bb product but I've always wanted too. This sounds so great I definitely want to give it a try. I've never tried Asian bb products, but your review makes me want to. I like that it's very sheer and has protection from the sun's rays. 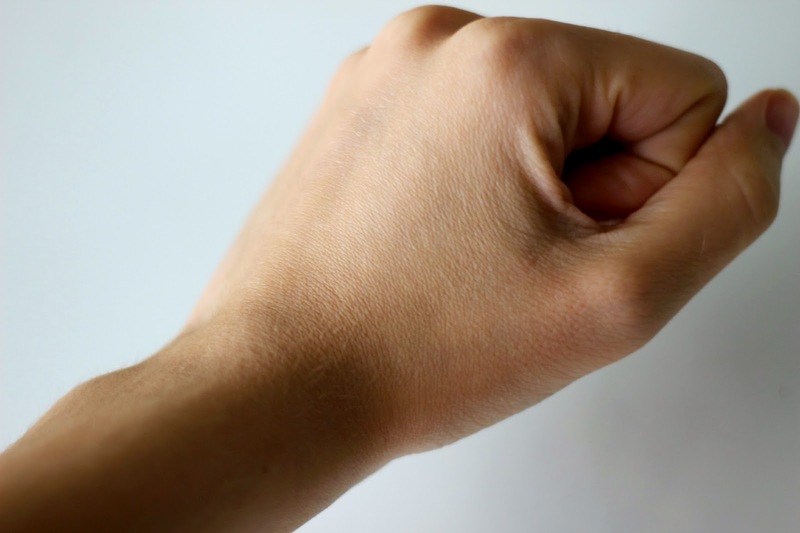 The stick applicator is very handy, too :) Thanks for the review! Ugh I wish everything has an expiration date! It would make it much easier for me to organize my makeup and throw away things when it's time!